Goldworks, Fort Collins, Colorado. Owner Tom Linenberger. When was the last time you really looked at the condition of your store? Are the display pads worn or dirty? The cleaning cloths you wield every day threadbare? Does your staff argue over who gets to use the one millimeter gauge that is still legible? Is the bulb in your microscope burned out and still unreplaced? Is the equipment on your repair benches old, worn, taped together? Your store and its reputation is made from more than the jewelry you sell and even the quality of your sales staff. 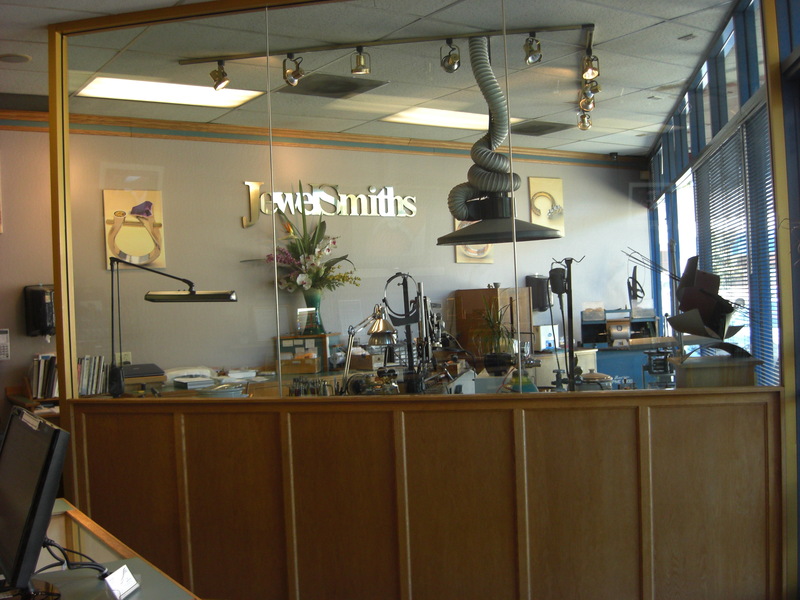 The jewelry in your cases may be exquisite, but if you don’t have the right tools and equipment to support the sale of that jewelry, its beauty may dim in the eyes of customers–along with your reputation. Attractive, clean, co-ordinated displays attract customers to your windows. But they do more than make your jewelry look terrific. They show customers that you care about your store and–by extension–them. 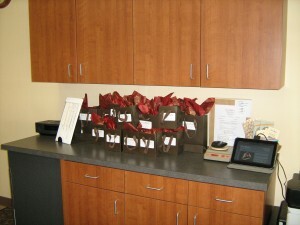 Neat or even classy displays also give your employees a subliminal boost of pride in the store. They feel better about what they have to sell and it shows. Your business can only benefit from the resulting lift in confidence–on both sides of the counter. Trios Studio, Lake Oswego, Oregon. Owners Deborah Spencer, Mary Wong, Kathe Mai. When jewelry was still a gift only the wealthy could afford, presentation boxes were almost as impressive as the jewelry itself. Presentation boxes should still say a great deal about the importance of a gift of jewelry. 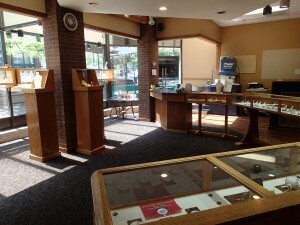 There are many choices jewelers can make that go far beyond a cardboard box lined with cotton. Imprinted with your store name or logo, in your store’s colors, the box itself is a constant reminder to the recipient of where they can get concerned, informed, professional care of their special gift. And perhaps purchase a beautiful companion piece. The tools your sales associates use when showing merchandise affect the impression your customers take away from your store as well. Loupes, tweezers, cleaning cloths, ring sizers should be professional and clean. There should be as many as needed around the store so that no one has to excuse him or herself to go searching. Well-prepared, well-equipped sales associates can turn all their attention to their customers instead of struggling with bent tweezers. The better they look the better you look, and the more confidence your customer has in your business. While your customers may never see your office, appraisal desk, or repair workshop, the quality of the tools in those locations makes itself felt in the quality of the work produced in them. It is important to have good, up-to-date computer and bookkeeping systems for Internet searches, e-mail, repair tracking, and invoicing. Legible, well-organized appraisal and take-in forms guide staff though the process, preventing embarrassing–and possibly costly–omissions and errors. Well-maintained testing and gemological equipment ensure the accuracy of identifications as well as allow sales associates to examine carefully the jewelry they take in for repair. Jewelsmiths, Pleasant Hill, California. Owner, Greg Stopka. In the repair shop, the quality of tools not only affects the quality of the workmanship, it affects the safety with which those tools are used. A saw frame or file with a loose handle makes for inaccurate work and puts the hands of the jeweler at risk. 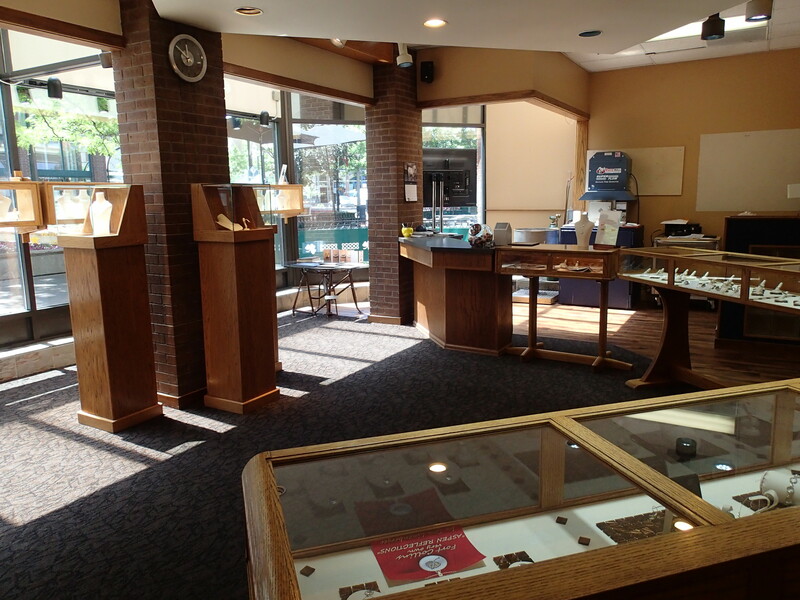 Injuries result in lost time and money–a good reason to see that every bench jeweler has the appropriate safety equipment and works according to well-understood safety guidelines. The condition of the shop, too, is important, especially if it is open to viewing by the customer. The quality of the tools you use in your business–even those that are out of sight–is affects the way your business is perceived by your customers. It is reflected in the attitude of your staff toward their work and your product, and in your ability to offer quick, accurate, consistent, professional services that inspire trust and confidence. Be sure that you have everything you need–from drill bits, abrasives, and casting equipment to gem cleaning cloths, computer systems and packaging–that will help you keep your reputation as glitteringly beautiful as the jewelry you sell.